In the archives of the family De Moor there are several cartoons which refer to political situations that took place. Since the events often took place more than 60 years ago, it’s not always easy to understand what was the real political background of these cartoons. 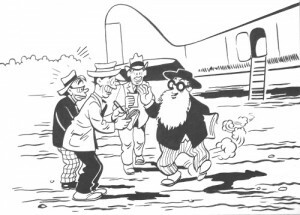 The undated cartoon featuring a bearded Paul Henri Charles Spaak. Today I’m going to dissect a cartoon, which seems to have been drawn between 1946 and 1948. The cartoon shows a man descending from an airplane, surrounded by what looks to be journalists. 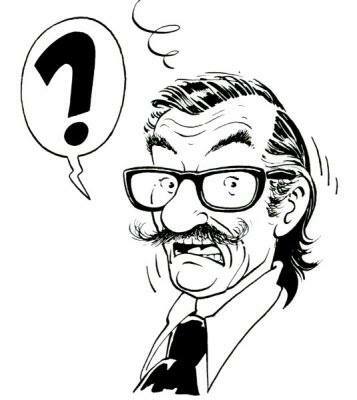 We are probably dealing with a cartoon about Paul Henri Charles Spaak. Spaak (25 January 1899 – 31 July 1972) was a Belgian socialist politician and statesman, who served as Prime Minister of Belgium (1938–1939, 1946 and 1947–1949), as the first President of the United Nations General Assembly (1946–1947), as the first President of the Common Assembly of the European Coal and Steel Community (1952–1954), as the first President of the Parliamentary Assembly of the Council of Europe, then called the Consultative Assembly (1949–50), and as the second Secretary General of NATO (1957–1961). 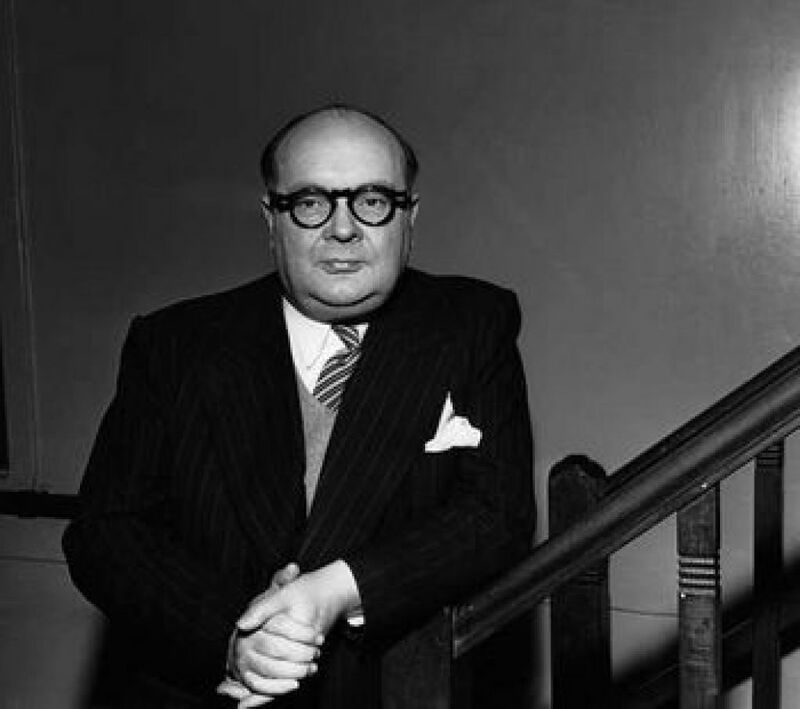 Lot’s of roles, but it’s my guess that the cartoon is about him being the Belgian Secretary of State (1946-1949). The fact that we see Spaak descending from a plane indicates that he has been traveling abroad (in Belgium politicians don’t travel by plane for local duties) and considering the style used here by Bob De Moor, I’m inclined to think we are dealing with a cartoon from 1947-1948. One small details though, Spaak didn’t have a beard in real life… So, it’s pretty sure that De Moor’s joke is exactly about that. Perhaps Spaak had been away for quite some time and hence the beard? Unless we can find the publication where this cartoon appeared, it will be pretty difficult to get the meaning of it all. A week ago I was bidding on an original of Bob De Moor on eBay, unfortunately my much too late arrival in Ankara (caused by the terror attack in Ankara) made it impossible to keep up with the auction biddings like I had planned and I saw I got outbid by 5 euro when I was finally able to check the eBay app on my smartphone, whilst waiting to pass the border control. I contacted the seller if at least he could make me some decent scans of the drawings before he’d ship the drawing off to the new owner, alas, it was already sent and I haven’t heard from the new owner yet. So, you’ll have to do with the photos from the seller. The previously unknown sketch for the 2nd page of “Barelli et la mort de Richard II”. The page I bid on is quite an exceptional finding, it’s the second page from the 1980 short story “Barelli et la mort de Richard II”. 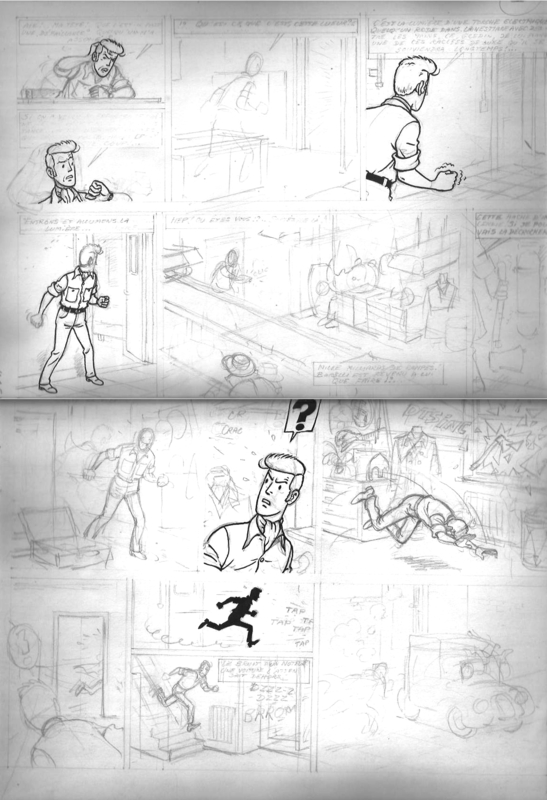 The interesting thing about the unfinished page is that you can still see the original pencil drawings which Bob De Moor had used to complete the actual page. Something which is quite rare. On top the structure of this second page (and not page 8 as the seller says) is different to the second page from the album, and that’s where it gets really interesting, and that’s also why I was so keen on getting this page and scanning it for you all to see. The first strip counts 5 frames in the final version, 4 in this demo version. The 5th one where he enters the room with requisites for the theater actors is not included. 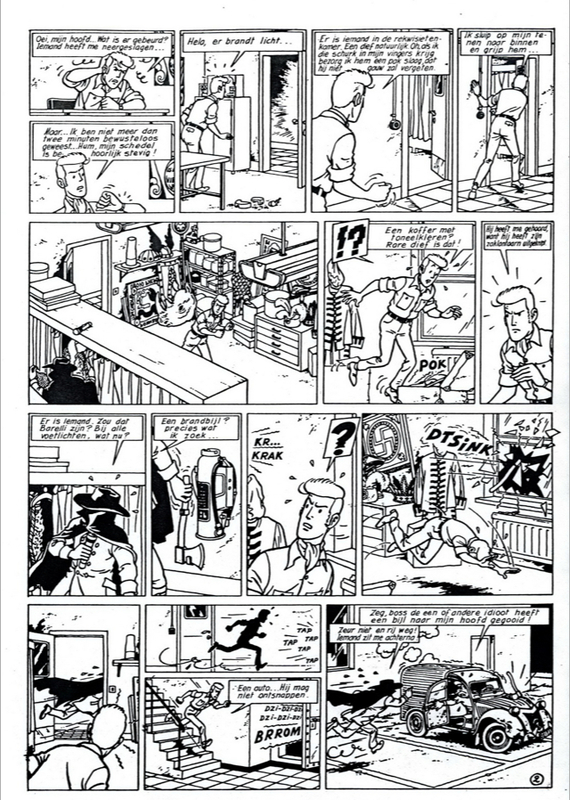 Instead Barelli is still outside in the second strip (the demo version) whereas he is walking through the room in the final version. The action in the demo version starts only in the second frame of strip 2. However, that scene no longer has text balloons in it in the final version, perhaps to create more tension. The final version for the 2nd page of “Barelli et la mort de Richard II”. 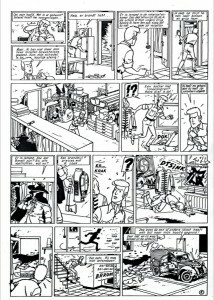 It’s kinda logical that De Moor decided to put some more action in these first 2 strips. 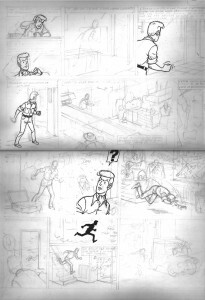 On the other hand, the cliffhanger he had in the 2nd strip in the demo version is moved towards frame 2 in the 3rd strip in the printed version. In the printed version Barelli sees that the intruder has turned off his torch, this element is totally lacking in the demo version. Strip 3 in the demo version starts with Barelli finding an open suitcase, you can see that De Moor has studied 2 different angles for this situation. Speaking of a different angle, you will also notice that Barelli’s head (strip 4, frame 1) is leaning to the left in the demo version, but to the right in the final version. It emphasises the speed of the running intruder. The rest of that last strip follows the same order. Text wise there are quiet a few differences, but due to the not so good photos I’m not really able deciphering everything. If you were the buyer of this item, please get in touch!